Michael Surette is one of the researchers who will be showcasing their work at this year’s event. He is a professor of medicine in the Faculty of Health Sciences, and the Canada Research Chair in Interdisciplinary Microbiome Research. He leads the Surette Lab in the Farncombe Family Digestive Health Research Institute. Surette’s research focuses on the human microbiome — the unique community of microbes that live in and on each of our bodies — and its effects on health and disease. The human microbiome is an area that’s seen a huge expansion in the past 15 or so years. We now know that the microbiome impacts almost all aspects of health and disease. So really, no matter what you do, you have an interest in the microbiome. An important part of my job is to make microbiome research more accessible to other researchers. We worked really hard to make that feasible. We’ve established DNA sequencing protocols here, made advances and pushed its feasibility to the point where anybody who wants to look at this in their studies can really do it quite easily at Mac. Microbes are incredible sources of chemistry. More than half the drugs we have today are microbial-derived or built off microbial compounds. Almost all our antibiotics come from microbes. The human host is a great source of potential therapeutics. I think there are lots of opportunities there. I’m not one who wants to start my own company or build a business — I’d rather stay focused on my research. But part of the work we’re doing with Adapsyn, which is the company my colleague Nathan Magarvey started, is to try and explore the potential of the human microbiome. Our bodies have more microbial cells than human cells. We each have our own unique microbial community that’s defined very early in life. That community co-evolves with our own unique immune system, and sets the tone for our immune system’s health. Establishing the wrong kind of microbiome immune system interaction can make you more prone to asthma or allergies or chronic disease. At the same time, everything that you eat primarily feeds your microbiome. A good example of that is the fibre that we’re always told to eat. It’s digested and processed by the microbes, and it’s the products of the microbes digesting the fibre that are so important for our health. When I was at the University of Calgary, my next-door neighbor Harvey Rabin was a clinician who worked on cystic fibrosis. Through years of very good clinical care and observation, he came to some conclusions about the microbiology of cystic fibrosis infections, and he really wanted someone to look at it. It really didn’t seem like there was much new to be done in that field, but Harvey made a strong case. So we took it on — naively — and in the very first patient we worked with, we found a pathogen that was missed by the clinical labs. It really changed the course of treatment for that patient and the course of his disease, which was very surprising. We never expected to find anything like that. Since that first case, working with clinicians has been a major driver of our research. In cystic fibrosis, we found organisms that we didn’t know were important. And we never would have known to study them unless we actually looked at human samples. And I think that was a really important lesson. One of the things I was a little bit anxious about in my move to McMaster was building up those kinds of interactions with clinicians, but it turns out McMaster’s a wonderful place for it. The clinical community here is very research-focused and very open-minded. And it has been a great experience to work with clinicians from multiple disciplines. We fail all the time! If you’re not asking hard questions, you won’t fail. But if you don’t fail at things, it means you’re not asking hard questions. What’s important is how you fail — as long as you learn something, it’s worth it. It’s important to be wrong and it’s important to do things that you’re unsuccessful at. Otherwise you’re not pushing yourself. I enjoy cooking when I have time. But I don’t follow very many recipes — the kitchen’s a substitute for laboratory, I guess, but it’s fun to for a scientist to break free of protocols. As a graduate student, I took up birdwatching as a distraction, which has been a great release. It requires as much intensity as work, so it is a very effective way to get distracted. We do make a family pilgrimage every spring to Point Pelee for a few days of intense birding. 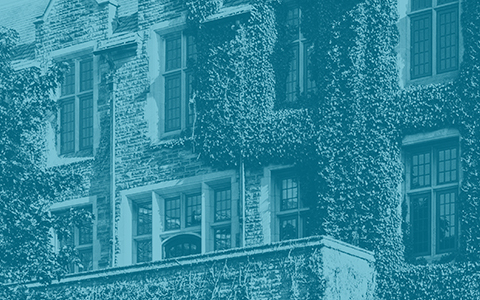 <em>Since 2008, the McMaster Innovation Showcase has raised awareness of the university's role in helping local businesses and economies grow. Hosted by the McMaster Industry Liaison Office, the event includes keynote speakers, panel discussions, open houses at entrepreneurship hubs and more.</em> <em>Along with highlighting McMaster’s research, the Innovation Showcase also builds and strengthens private-public sector partnerships, and provides a venue for local business leaders and government officials to learn more about the university’s facilities and technology.</em> <em>Michael Surette is one of the researchers who will be showcasing their work at <a href="https://www.eventbrite.ca/e/innovation-showcase-2018-the-future-is-here-tickets-49139491542">this year’s event</a>. He is a professor of medicine in the Faculty of Health Sciences, and the Canada Research Chair in Interdisciplinary Microbiome Research. 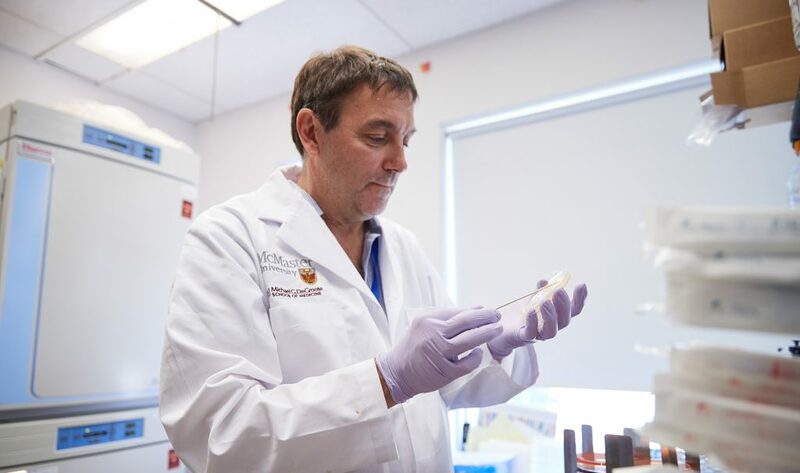 He leads the Surette Lab in the Farncombe Family Digestive Health Research Institute.</em> <em>Surette’s research focuses on the human microbiome — the unique community of microbes that live in and on each of our bodies — and its effects on health and disease</em>. <strong>On his work </strong> The human microbiome is an area that’s seen a huge expansion in the past 15 or so years. We now know that the microbiome impacts almost all aspects of health and disease. So really, no matter what you do, you have an interest in the microbiome. An important part of my job is to make microbiome research more accessible to other researchers. We worked really hard to make that feasible. We’ve established DNA sequencing protocols here, made advances and pushed its feasibility to the point where anybody who wants to look at this in their studies can really do it quite easily at Mac. <strong>On using the human microbiome</strong> Microbes are incredible sources of chemistry. More than half the drugs we have today are microbial-derived or built off microbial compounds. Almost all our antibiotics come from microbes. The human host is a great source of potential therapeutics. I think there are lots of opportunities there. I’m not one who wants to start my own company or build a business — I’d rather stay focused on my research. But part of the work we’re doing with Adapsyn, which is the company my colleague Nathan Magarvey started, is to try and explore the potential of the human microbiome. <strong>Why his work is cool</strong> Our bodies have more microbial cells than human cells. We each have our own unique microbial community that’s defined very early in life. That community co-evolves with our own unique immune system, and sets the tone for our immune system’s health. Establishing the wrong kind of microbiome immune system interaction can make you more prone to asthma or allergies or chronic disease. At the same time, everything that you eat primarily feeds your microbiome. A good example of that is the fibre that we’re always told to eat. It’s digested and processed by the microbes, and it’s the products of the microbes digesting the fibre that are so important for our health. <strong>On keeping it real</strong> When I was at the University of Calgary, my next-door neighbor Harvey Rabin was a clinician who worked on cystic fibrosis. Through years of very good clinical care and observation, he came to some conclusions about the microbiology of cystic fibrosis infections, and he really wanted someone to look at it. It really didn’t seem like there was much new to be done in that field, but Harvey made a strong case. So we took it on — naively — and in the very first patient we worked with, we found a pathogen that was missed by the clinical labs. It really changed the course of treatment for that patient and the course of his disease, which was very surprising. We never expected to find anything like that. Since that first case, working with clinicians has been a major driver of our research. In cystic fibrosis, we found organisms that we didn’t know were important. And we never would have known to study them unless we actually looked at human samples. And I think that was a really important lesson. <strong>On teamwork</strong> One of the things I was a little bit anxious about in my move to McMaster was building up those kinds of interactions with clinicians, but it turns out McMaster’s a wonderful place for it. The clinical community here is very research-focused and very open-minded. And it has been a great experience to work with clinicians from multiple disciplines. <strong>On getting it wrong </strong> We fail all the time! If you’re not asking hard questions, you won’t fail. But if you don’t fail at things, it means you’re not asking hard questions. What’s important is <em>how</em> you fail — as long as you learn something, it’s worth it. It’s important to be wrong and it’s important to do things that you’re unsuccessful at. Otherwise you’re not pushing yourself. <strong>Outside the lab … </strong> I enjoy cooking when I have time. But I don’t follow very many recipes — the kitchen’s a substitute for laboratory, I guess, but it’s fun to for a scientist to break free of protocols. As a graduate student, I took up birdwatching as a distraction, which has been a great release. It requires as much intensity as work, so it is a very effective way to get distracted. We do make a family pilgrimage every spring to Point Pelee for a few days of intense birding.